It includes resources for determining copyright and public domain status, managing risks and seeking permissions (e.g., Copyright Clearance Center) — as well as places to find public domain, Creative Commons, and DRM-free media, and more! I’ve been warned about some of the anti-gaming sentiments that Common Sense Media might hold, so if you have educational resources for learning and understanding copyright, fair use, privacy — for any age group or background — I’d love to hear about it. Thanks! Oh hai! As with previous fall semesters, I’ve been busy with graduate school. I’m currently taking two amazing courses, an intensive on digital copyright and another on the Hyperlinked Library (a.k.a., Library 2.0). For the latter, I wrote a book report on Susan Cain’s Quiet: The Power of Introverts in a World that Can’t Stop Taking , which I found insightful and engaging. The original blog post for this book review is at the Info 287 course site, but it will disappear at the end of this year (2015) — the student blogs are reborn afresh for next iteration of the class in 2016, and beyond. However, I’m very honored that my instructor, Dr. Michael Stephens, has published a copy on his site, Tame the Web. Creativity, personalities, librarianship, and Susan Cain’s Quiet – A TTW guest post by Sarah Liberman. Comments closed here, but are open at TTW. I needed something to help with cleaning and refreshing my sensitive combination skin. This skin toner is made with essential oils from (mostly) Mountain Rose Herbs. 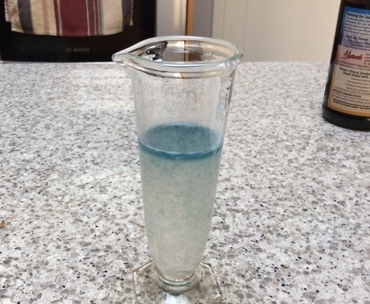 I measure everything in a dual-scale (metric+imperial) glass beaker. Drops are via reducers attached to the bottles of oil, or by tiny 1/8 ounce glass dropper. (Sorry about the mix of metrics, but, ah well, that’s how things are sold in the U.S.) Although I’m not a fan of strong scents, I’ve added quite a bit of bold floral and herbal oil to counter the very earthy smell of the calendula (like artichokes), carrot seed, and camomile (like garden soil). The rose and neroli oils lend a sweeter note, so they’re optional. Usual Disclaimer: Test on a small patch of skin several times to see if you react negatively, etc. My experiences and the ingredients have not been blessed by the FDA, etc. YMMV etc. Skin toner, unmixed. The deep blue chamomile oil lends a pale aquamarine hue to the toner. I’m rather picky about what goes into snack bars: What kind of nuts? (No walnuts or pecans, if I can avoid them.) And I’d prefer the absence of dried coconut. Not too sweet, as I don’t want a sugar rush that results in a headachey crash — dried fruits are good, as long as they don’t have additional sugar or honey. I don’t want a bar so chunky the nuts become a struggle to chew, or too pasty like…well, a uniform, unremarkable paste. 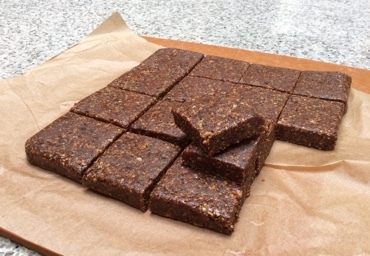 I didn’t realize how easy snack bars are to make, until I saw a recipe for peanut butter and chocolate energy bars. Dates are the perfect “adhesive” agent, as well as pleasantly sweet (but not too sweet). Why not use my ever-favorite hazelnut? Need a substitute for wheat or gluten-based flours? Look no further! Shauna the Gluten-Free Girl provides an excellent tutorial: Just weight out the ingredients, then toss to mix. These are just a collection of gluten-free flour mixes that I’ve liked using in baking and thickening sauces. Recipes can be completely gluten-free, including brownies, financiers, and cornbread. 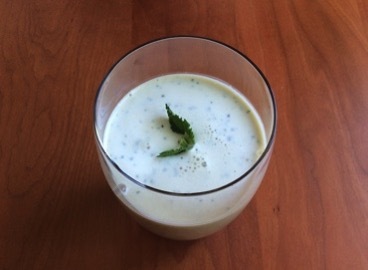 It started with an avocado lassi: smooth, minty, and refreshing on a hot day with spicy food. The problem with avocados is that their season is limited—they peak in winter here in CA—and dishes made with them quickly go brown, also muddying the flavor. Slightly brown avocado lassi tastes icky. But I learned it was the mint and cumin combined with yogurt that were key. As the last of the big projects in my Reference and Information Services course last semester, I created a (semi) interactive tutorial on understanding and using controlled vocabularies—specifically in the AGRICOLA database (freely searchable via USDA) and the Gale Virtual Reference Library encyclopedia (commercial, subscription required). I used the Prezi desktop app during its free trial period, which I haven’t renewed. 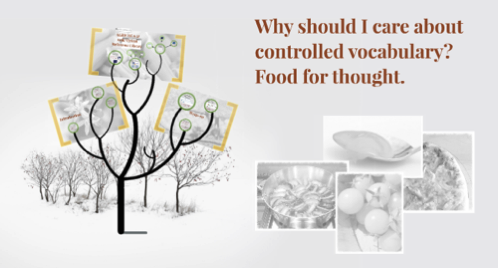 I won’t be editing it anytime soon, unless I wind up using Prezi more often (or, revisiting this topic with more tutorials). The tutorial is not comprehensive: I don’t cover all the well known types of vocabulary structures (taxonomies, semantic web, ontologies); I stick mostly with thesauri here re: two kinds of online resources. Again, it’d be cool to revisit, but I don’t know when. Unless you’re using Prezi’s mobile app, it requires Flash. Fwiw, the tutorial ran as expected when I viewed it on iOS. Navigation and audiovisual playback might be a bit wonky. I prefer to use left and right arrows to step through the tutorial, but ymmv. Prezi might have fixed those issues by now. For the longest time, the only hazelnut liqueur I had access to was Frangelico’s. It’s okay, but the almond and herbal components interfered with the toasty, rich hazelnuttiness I desire. There are others, but I hadn’t been able to find them in stores. 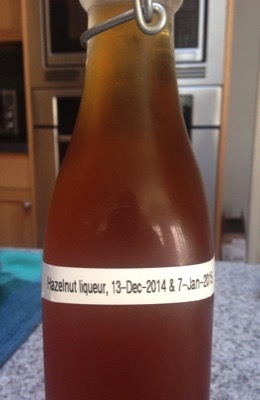 With a large bag of skinned hazelnuts in the freezer, and some tips from Jeremy F., I decided to make my own. And it is good. Happy new year, and welcome to 2015 and the annual list of stuff I read in 2014. You’ve noticed that I have not for the longest time written an article on visual media like film or television, including animé. Sadly, my animé discoveries have been sparse over the last several years. But on the plus side of being in grad school, I’ve recently gotten back into watching more television—kind of as a format-induced way of recreation to contrast with all the reading I need to do—even though most of such reading is non-fiction! I have yet to be utterly wowed by a recent feature-length film (exceptions to follow), but I’ve found a few incredibly engaging tv series: Orphan Black ; Elementary , better than BBC’s recent Sherlock , in spite of Cumberbatch’s excellent acting—Liu’s Watson is the best characterization, and I even found the Elementary ‘s version of Moriarity the best yet; Person of Interest for obvious timely reasons; the web series Bee and Puppycat , because we all need more animated weirdness in our lives; Warehouse 13 , except for its last season, alas; and Community as the delightful exception to my usual dislike of sitcoms. The satsumas were late this year, with fruit ripening through March. The sad thing is that now as winter approaches, there are hardly any fruit for the upcoming winter season. Perhaps the rains will help with next year’s harvest. In any case, earlier in the year I experimented with making satsuma liqueur, and found that less is more when it came to accompanying spices: Most anything other than vanilla (like cinnamon, star anise, cloves, allspice, or ginger) resulted in a drink as medicinal as an unremarkable cough syrup—without the pleasant citrus flavor! 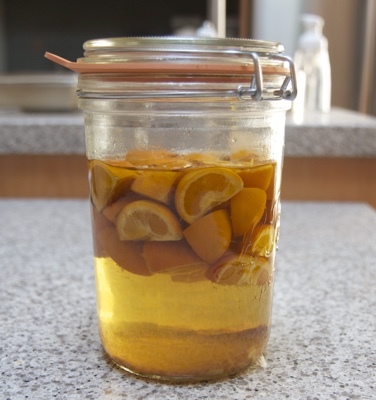 So here is a simple infusion that highlights satsuma’s subtle aromas.